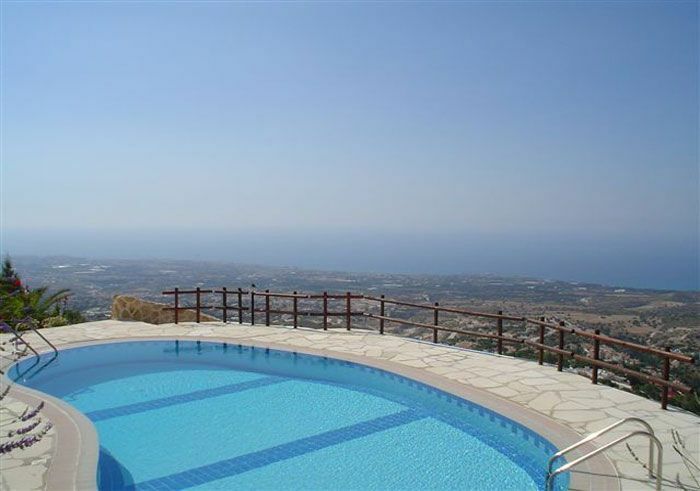 Kamares is a village in the district of Paphos with stunning sea views. The community features a medical centre, clubhouse, restaurants, tennis courts, swimming pools and shops, that contributes to the community feel of the village. It is an Ideal location for those who wish to enjoy natural stunning views and have all the essential amenities, shops and entertainment nearby. Due to the elevation of the village locals experience cool summer evenings and an enjoyable climate. Leptos Estates have a selection of projects available in Kamares including a variety of 2 – 5 bedroom villas. This 2 storey 4 bedroom villa is to be completed in the next 16 months; the property will also include an integral garage. 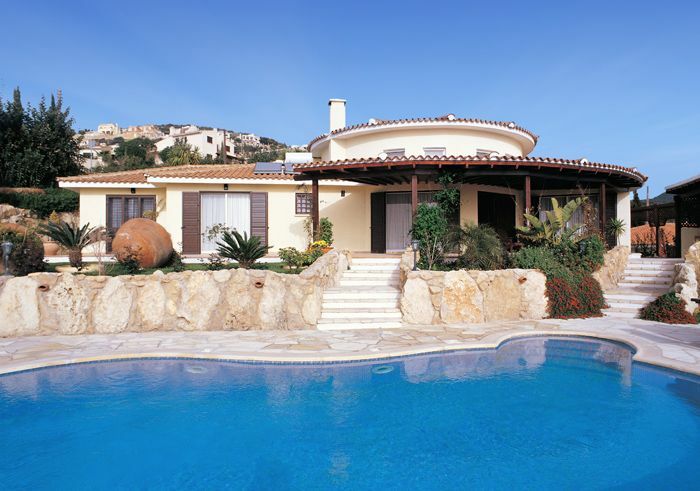 This luxury villa will be ideal for an average of family or will make an ideal home for retirement or holiday-makers. This 2 storey 5 bedroom villa boasts an all-around sea views and will be completed with most luxury style and design. To be completed within the next 16 months, the property will offer the option to include swimming pool and BBQ. This 2 story 3 bedroom villa boasts views towards Coral Bay coastline and will be completed to the highest standard within the next 12 months, the property will offer the option garage and central heating. This 2 storey 3 bedroom villas will be completed with an option of 4.5 x 9m infinity pool, glass balustrade and BBQ of the highest quality in design and architecture in the next 14 months. This unique 3 bedroom 2 storey Villa with a fantastic location in Kamares and amazing views has a large living room, large veranda and private garden. This 2 story 3 bedroom villa boasts views towards Coral Bay coastline and will be completed to the highest standard within the next 12 months. This 2 storey 5 bedroom villa boasts an all-around sea views and will be completed with most luxury style and design. To be completed within the next 24 months, the property will offer the option to include swimming pool and BBQ. Karmi Villas are situated on a hilltop in the award winning Leptos Kamares Village. These villas are in beautiful landscaped gardens and surrounding a communal swimming pool. This 2 bedroom Apartment with both mountain and sea view is located within minutes away from centre of Paphos. This apartment with its secluded location offers you prime investment with high letting potential.